Alex Counts is President and CEO of Grameen Foundation, and the author of “Small Loans, Big Dreams: How Nobel Prize Winner Muhammad Yunus and Microfinance are Changing the World” (John Wiley & Sons, 2008). Below is Part Two of this journey to assess the state of microfinance with Grameen Foundation partners worldwide. 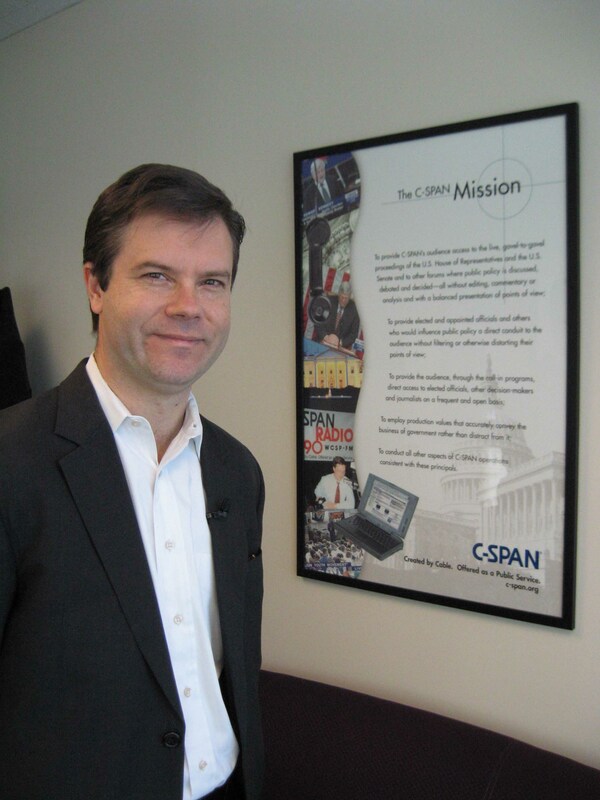 Today’s interview on CSPAN’s “Washington Journal” program was personally enjoyable, and it was also great exposure for Grameen Foundation and our self-help strategy for combating world poverty. I always chuckle when people put makeup on me in advance of appearing on television. This time, Steve Scully (the host) touched up my makeup about 15 seconds before we were on the air – apparently his staff had missed something when powdering me up minutes earlier! My last day in the country was the beginning of the Bangladeshi weekend – Friday. That meant somewhat less traffic, a blessing to be sure. I spent three hours, starting at 10am, with my former research assistant, Abdul Mannan Talukdar. He is the first Area Manager in the history of Grameen who started as a loan officer (a position now called “center manager”). He is immensely proud of that, as he should be. An area manager oversees 8-10 branches, each of which are staffed by about seven staff (almost always including a university-educated branch manager) and serves several thousand clients. He told me about his journey, culminating in that historic promotion, dating from when I last saw him, in 2006. I arrived at the Grameen Complex at 10:30am on Thursday, after having visited my old dentist (who does quality work for a fraction of the price charged back home). Before I began my first meeting, I noticed the almost frenetic activity around me in each office I entered. My good friend Mir Akhtar Hossain, who heads Dr. Yunus’ person staff, was so busy he could barely catch up with me – much less indulge in our traditional lunch of chicken biryani down the road in Mirpur One. Even after thirty-three years in existence, complacency has hardly taken root in the Grameen family of companies. I awoke on Wednesday in what we in the U.S. would consider a large tin shed. As the manager had warned, mice had run amok in the rafters at times during the night. Fortunately, I was able to tune it out after a while. Soon I was off to the Zianpur bazaar to say my goodbyes to the local Grameen staff, the teachers at the high school whom I had always been close to, and others in the community. I felt quite emotional by the time I jumped on the back of a motorcycle and headed to Aricha, where I would get a public bus to Dhaka. After a delicious Bengali breakfast of vegetables and paratha, I began a field trip that would ultimately bring me to Kholshi, where I did most of the research for my book Small Loans, Big Dreams. But first I asked to see a Grameen Bank center meeting, to see how the process has evolved. Abdul Malek, the manager, took me to Narandia, a village where there was a borrower meeting that day – this is where loan payments are made, new loans vetted, and other business conducted on a weekly basis. Malek is still fairly new to this branch, and to driving a motorbike, so our trip through rice fields and the occasional dirt road was a bit of an adventure. I had visited Narandia a couple of times in the 1990s. Then as now the dominant force in this center – a federation of ten groups composed of fifty women clients – was Shaheeda Begum. She was making payments on her two current loans that totaled about $1,000. Only two other women in the center were able to borrow and invest amounts that large. To a much greater extent than was true a decade ago, loans are made on the basis of investment capability, and can vary a lot from client to client. Shaheeda was one of the most savvy businesswomen in the village. But as she would explain to me over the course of an hour, when she began borrowing from Grameen in 1987 her conditions were much humbler than today. Asif Dowla blogged about his recent White Paper examining the critical role microfinance institutions (MFIs) can play in mitigating the impact of climate change on poor people for the CGAP blog. As the events at the Copenhagen summit on climate change continue to unfold this week, I think it is important that we look at the relationship between climate change and microfinance. The microfinance industry has been almost silent about climate change. 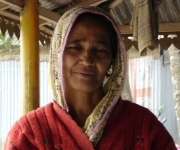 Even in Bangladesh, where microfinance institutions (MFIs) provide services to more than 30 million households, the industry did not actively participate in the National Adaptation Program of Action (NAPA), which helps less developed countries identify priority activities for responding to climate change. Read the rest of this post on the CGAP blog. After a gap of about two years, on December 13, 2009 I returned to Bangladesh – the birthplace of the modern microfinance movement and the country where I spent six of the first nine years after I graduated college. I came here initially driven by naïve idealism – that someone (especially at my tender age!) 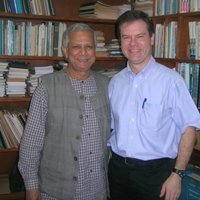 could catalyze the spread Grameen Bank’s approach beyond the borders of Bangladesh, so it could to become a global (rather than simply national) anti-poverty strategy. 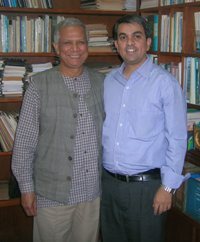 As I was to learn, even by the time I arrived in December 1988, that process was under way – a process that was much more complex than I had imagined, and one that has been the focus of Grameen Foundation since it was established in 1997. Over the past decade, technology has played a key role in Grameen Foundation’s mission to alleviate poverty. From equipping microfinance institutions with the capacity to manage technology to building and delivering industry-wide solutions like our Mifos software platform, our goal is to advance the use of technology across the microfinance industry. The driving force is our Technology for Microfinance Initiative which seeks to transform technology from a barrier into an accelerator for the growth and impact of microfinance.